Hey! It’s Joanna here from Everyday Made Fresh, I’m back this month to share a mini dessert. Who doesn’t love food in miniature form? 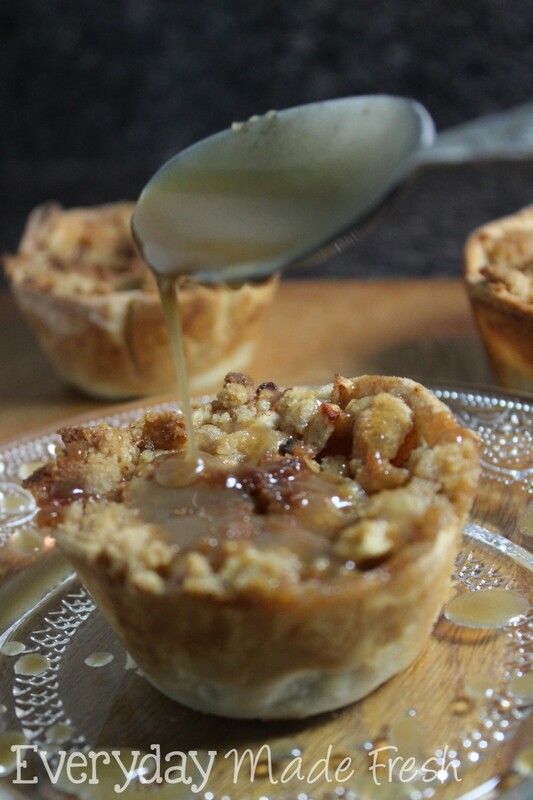 These Mini Dutch Apple Pies with Caramel Sauce are perfect for the upcoming holiday season. The time has changed and it’s dark at 5:00 here everyday, winter is on it’s way. I may be one of the only few out there, but I really like this time change better than springing forward. I look at the clock after dinner and it only reads 6:45! It makes my nights seem longer, and I am a lover of snuggling up with a comfy quilt that my great grandmother made, a cup of hot cocoa (or coffee), and the remote in hand to catch up on our DVR’d shows with the family. Plus the lit candles and twinkle lights make an evening a lot more homey to me, rather then it being 7:30 and it still be day light outside. I don’t know maybe I should live in one of those states that the time never changes. There are a couple of those right? Anyway, I’m not here to talk about my loving the time change, the extra hours of darkness, and watching tv! 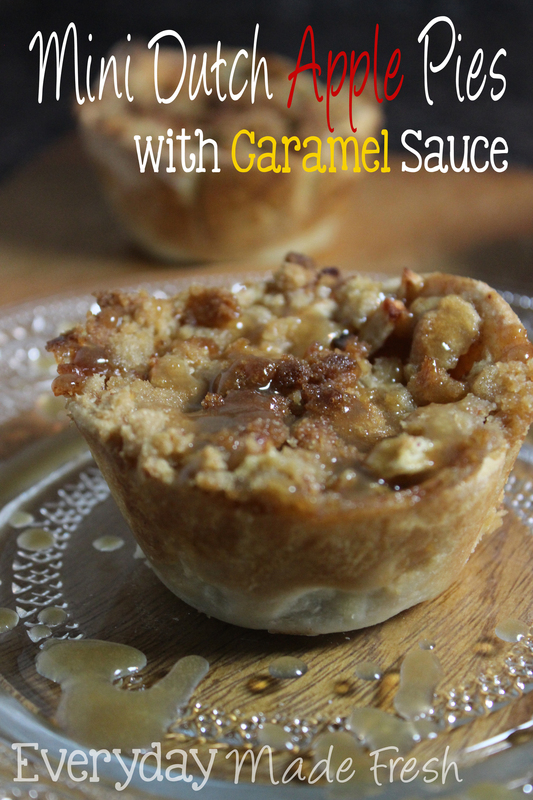 I’m here to tell you how to make these Mini Dutch Apple Pies with Caramel Sauce. Mini treats seem to be popping up everywhere these days, and with good reason too! 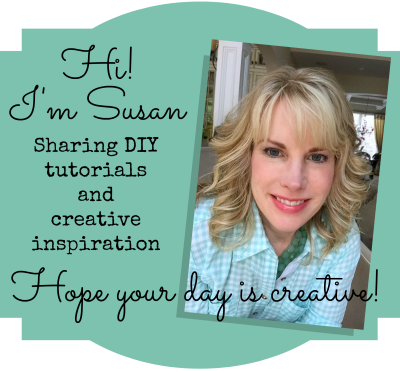 The ease of creation is just so simple, perfect sized portions for all, and the idea of not having to slice up a pie, the kids can grab their own, and you can sit back, relax, and enjoy the day is one of the best reasons of all. 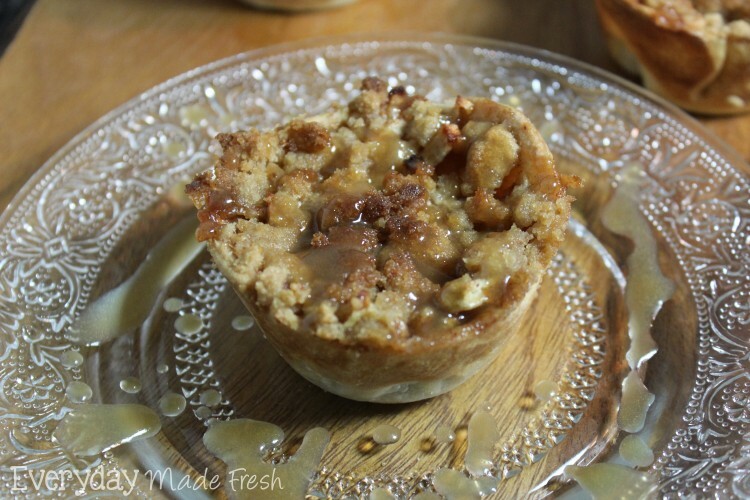 Apple pie is one of my favorites and anything with crumble on top is even better, which is why these Mini Dutch Apple Pies with Caramel Sauce are perfect. Plus this caramel sauce is made in 5 minutes flat. It’s that simple. I don’t know about you, but I like simple. Place your cut up apples, lemon juice, sugar, 2 tablespoons flour, cinnamon, and apple pie spice in a large bowl, and mix to combine. Set aside. Dust a surface with flour, and roll out your pie dough. Using a large mouth mason jar lid cut out your dough circles, making sure to cut out as many as possible from the dough. Set those aside. Pat your remaining dough back together and roll it out, 1/4 inch thick. Using the large mouth mason jar lid cut out the remaining dough circles. Work until you have 12 of them cut out. Place your dough circles into your un-greased muffin tins. If your dough circles do not cover the entire bottom and sides, you can roll them out just a bit. Pour your apple pie filling evenly into your muffin tins. You may think you have too much apple filling, but you want it to sort of pile up, because it will bake down. Set aside. Mix together the ingredients for your topping and crumble on the tops of your apple pie filling. Bake these for 30 to 35 minutes or until golden brown on the tops. When the mini dutch apple pies are finished baking, mix together the ingredients for the caramel sauce in a small sauce pan over medium to high heat. Continue heating over medium high heat while continuing to whisk. Heat until bubbly and thickened. I can get mine done in 5 minutes. But if you want something a bit more thickened, you may need to heat for an additional 2 to 3 minutes. Serve with caramel sauce drizzled on top! Mmmm, these look fantastic and that caramel sauce? Heaven! 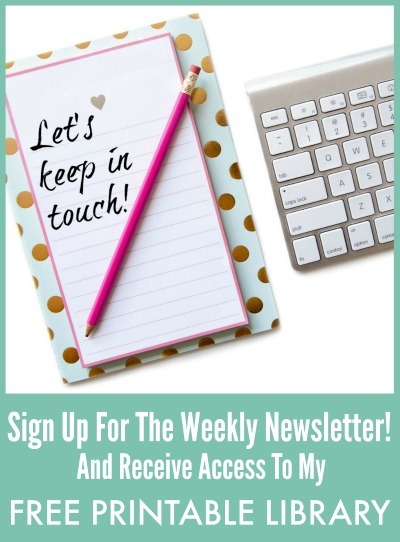 You received the most clicks last week, over at Simple Supper Tuesday. We’d love for you to join us again, starting Monday night at 8pm EST. This looks delicious! 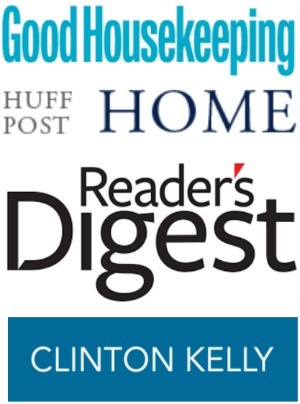 Thanks for sharing at the #HomeMattersParty!